Eileen hosted her TV show, “Your Destiny” which was a live call in prophetic show in Colorado Springs, on Fox TV KTRM in Colorado for eleven years and has done radio. At present Eileen travels and is a frequent TV guest and teaches Schools of Prophecy and Healing. 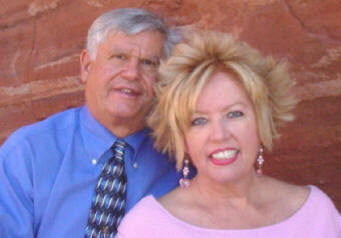 Eileen and her husband Fred have been happily married since March 14, 1963 and were childhood sweethearts. Fred oversees the ministry and is the ministry administrator. They have one married daughter Theresa, their son Michael went home to be with Our Lord in 1993, and they have four grand children. Eileen and her husband Fred were born again in 1974. Eileen ministers very strongly with the Holy Spirit, in healing and prophecy and she has a special burden for Christians to understand the Holy Spirit as a person. Her desire is to teach about the Father who loves us, the Savior, Jesus, who died that we might be free, and the Holy Spirit, the Helper, who enables us to live the power-filled life. Eileen encourages everyone to follow the Holy Spirit, and to work with Him to lift up Jesus. She also wants men and women to serve in the Kingdom of God and share the good news of Jesus with power and might. Eileen challenges you to enter into a deeper walk with God and into the fullness of life He offers you.